BBC News forms a major department of the Corporation, and receives many complaints of bias. Some people have criticised the BBC for being part of the establishment. The Centre for Policy Studies– a right-wing think tank – has stated that, “Since at least the mid-1980s, the Corporation has often been criticised for a perceived bias against those on the centre-right of politics.” Similar allegations have been made by past and present employees such as Antony Jay, North American editor Justin Webb, former editor of the Today ProgrammeRod Liddle, former correspondent Robin Aitken and Peter Sissons, a veteran news anchorman. Former political editor Andrew Marr has argued that the liberal bias of the BBC is the product of the types of people the Corporation employs, and is thus cultural not political. In 2011 Mark Thompson, the then BBC Director General, wrote, “In the BBC I joined 30 years ago there was, in much of current affairs, in terms of people’s personal politics, which were quite vocal, a massive bias to the left.” In 2011, Peter Oborne wrote, “Rather than representing the nation as a whole, it [the BBC] has become a vital resource – and sometimes attack weapon – for a narrow, arrogant Left-Liberal elite”. Speaking to journalists at a Broadcasting Press Guild lunch in 2009, Jeremy Hunt, the former Shadow CabinetSecretary of State for Culture, Media and Sport, claimed that BBC News needed more Conservatives: “I wish they would go and actively look for some Conservatives to be part of their news-gathering team, because they have acknowledged that one of their problems is that people who want to work at the Corporation tend to be from the centre-left. That’s why they have this issue with what Andrew Marr called an innate liberal bias.” The commentator Mehdi Hasan though, has pointed out the right-wing backgrounds of many BBC presenters and journalists, querying why even many “liberals and leftists” accept the right’s description of BBC bias. So in the past there might have been grounds for making a serious accusation against the BBC for liberal bias although Jeremy Hunt must be pleased that since August this year the BBC’s Head of News is the former Times editor and Rupert Murdoch acolyte James Harding. And certainly given that the Telegraph has published almost 3,500 articles complaining about “BBC bias” maybe there is still a case for the BBC to answer because a ‘quality’ newspaper like The Telegraph would not waste so many column inches on a politically motivated campaign against the most trusted news broadcasting organisation in the world, right? The Telegraph’s most recent whine is in respect of BBC News’ reporting of the story, first published by The Telegraph on Sunday 13th October 2013, regarding the number of “economically inactive” migrants in the UK. The 600,000 figure, who were reported by the Telegraph and its regular cheerleader from the cheap seats, The Daily Mail, as “jobless” or “unemployed” was extracted from an EC study of EU migration which was published on 14th October and in which those terms were absent. Last week, the government unveiled details of its Immigration Bill which aims to save taxpayers’ money by limiting migrants’ access to public services. The Sunday Telegraph added impetus to this already heated debate by reporting that a leaked European Commission report had found that 600,000 “jobless” migrants had made the UK their home, claims which were described by the Commission itself as “a gross and totally irresponsible misrepresentation of the facts.” So what is the source of the controversy? The report in question has now been published, and it does reveal significant problems with the Sunday Telegraph’s story. The 600,000 figure actually refers to the number of economically “non-active” EU migrants living in Britain. While these are people who aren’t in work, it doesn’t follow that they are unemployed. To be unemployed under the International Labor Organization definition, which is used by the ONS and others to calculate unemployment figures, a person must actually be economically active, as they are actively seeking work and ready to begin if it is found. ….We’ll be asking the Sunday Telegraph for a correction. If you are interested in seeing how the BBC’s Daily Politics and Channel 4 dealt with the issue then you can watch the clips in this post. But of course, being seen to be wrong and over-playing their hand was never going to be accepted by The Telegraph and the Conservative party as a ‘fair’ outcome and someone else has to be to blame. So into their cross hairs steps Mark Easton with his report on the migration story on the BBC 10 O’clock News on Monday 14th October. “Last Monday night the BBC’s 10 O’Clock News – its most popular television news programme – broadcast a bulletin by Mark Easton, the home editor, in the wake of the publication by the European Commission (EC) of its report on migration. The European Commission paper says there were 112,499 EU migrants in Britain seeking work. 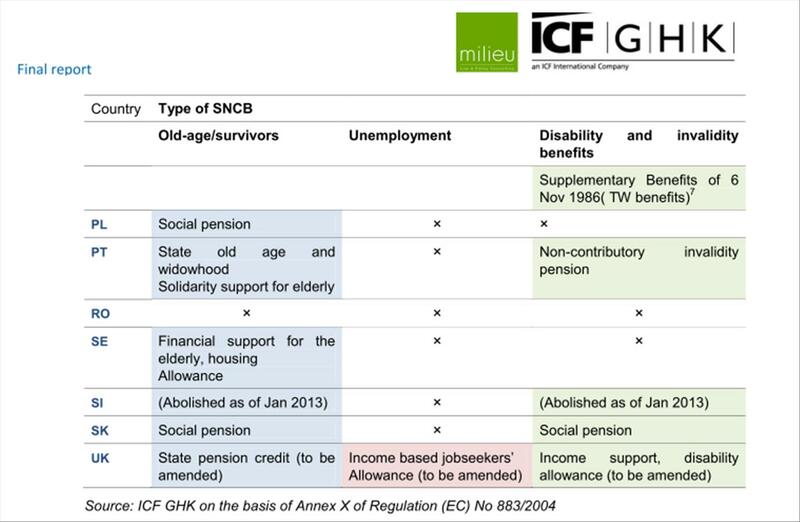 That bulletin, however, was called into question last night by Iain Duncan Smith, the Secretary of State for Work and Pensions, as lacking in balance. It is the view of this blog that the constant droning whine of The Telegraph about BBC bias is little more than that of a spoilt child that cannot get its own way. The quality and efficacy of Telegraph reporting has been in decline for years as, inevitably, has its reputation for quality journalism. 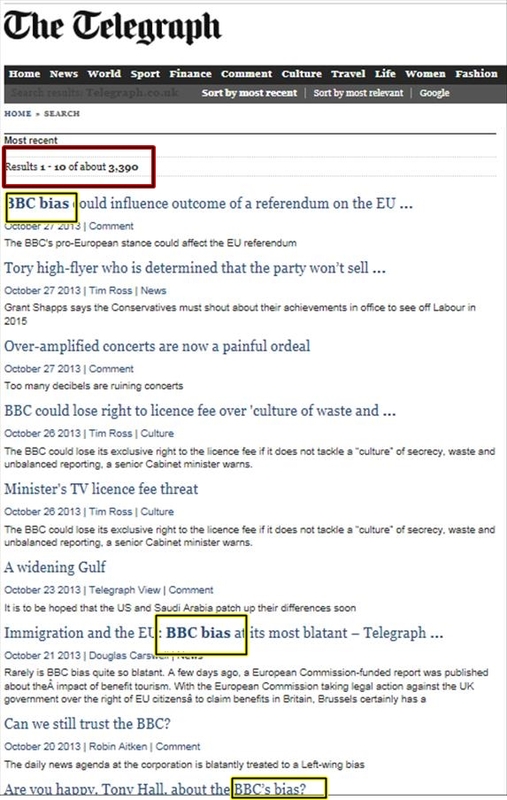 On the 20th October they published multiple articles in the Sunday Telegraph in an attempt to prove by volume of verbiage, if not by quality of argument, that the BBC was biased in its reporting of the EC migrant report. So this blog does not need to seek to prove that the BBC is not biased in favour of liberal causes. Notwithstanding the lack of evidence that The Telegraph has tried to muster and we will come on to their painful and tedious ‘analysis’ of the Mark Easton piece shortly; it might be instructive to take a look at a few recent reports from various BBC news broadcasts and see whether there is bias at play. And what about the Telegraph’s ‘analysis’ of Mark Easton’s report. This blog decided to analyse The Telegraph’s analysis to discover if their criticism has any credibility whatsoever. Here are the results for you to consider (link opens a pdf). The question is, do we want an impartial BBC to report objectively on the performance of our government and to hold them accountable when they lie and attempt to deceive the public or do we want the most trusted news broadcaster in the world to be cowed and debased by threats from political parties that the licence fee funding will be withdrawn if the organisation doesn’t toe the government line? Our democracy demands that the BBC ignores the miserable bleating of the right-wing press and continues to provide the quality journalism that is envied around the world.